Two brothers. One woman. One son. One choice. Lives ripped apart, shattered and rebuilt. Evan and Nate Archer: Brothers, best friends, warriors and now enemies. Both in love with the same woman. Both determined to fight for what they want. Nate Archer promised to protect Ryley Clarke in the event Evan didn't make it back. It's a promise between brothers since the early days of basic training. Nate never considered that his feelings, long buried since high school, would resurface and grow stronger. Evan Archer wants answers. He wants someone to pay. After being gone for an unprecedented amount of time, nothing is making sense now that he's home. Most of all, he can't understand how his brother ended up engaged to his fiancée. Evan is determined to uncover the mystery, and win back his family. The Archers are about to fight dirty. I enjoyed this sequel much more than the first book. The plot was engaging and the narration was spot on. Like many before me, I too had to research the spoilers and/or read the end of book 2 to see the ending when I first began reading this series as I couldn’t, no wouldn’t, read it had she not ended up with whom I believed deserved to “win” or who she ultimately deserved to be with. With that said, these two books are... I don’t know amazing sound cheesy and epic isn’t the right word either so I’ll stick with wow!!! The mystery on top of the love triangle/square :) was just the cherry on top of these two books; that with the fact that from page 1 your thrown into the mix of everything with little to no build up (believe me she did an amazing job with this work of fiction and no build up as needed). This is a must read although I’m not so much of a fan of the narrators in this series, who am I kidding I wanted to claw my ears out but I did put that behind me just to hear the plot as I was entranced by the storyline... Heidi is a good author and her book normally have me entranced from page 1, but please find new narrators for her stories!!!!! Intriguing military suspense serves as the back drop to a heart-wrenching love story. Such a well-written story. Note: you will need to read book one first for the complete the story. Would you listen to Choose Me again? Why? I have listened to this twice! The story pulls you in. 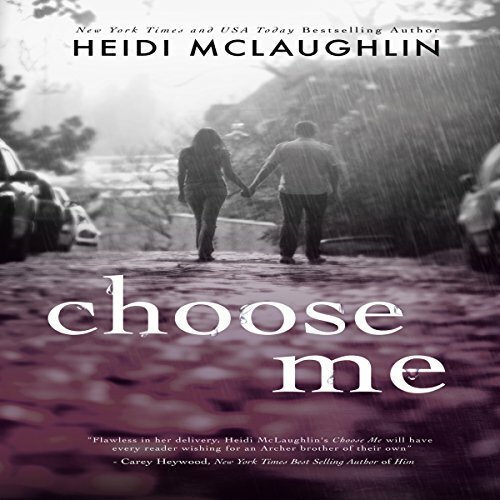 Choose Me is a contemporary romance mystery book told from Evan and Nate’s POV. It is the second book in The Archer Brothers series. I was expecting an incredible story after Here With Me. 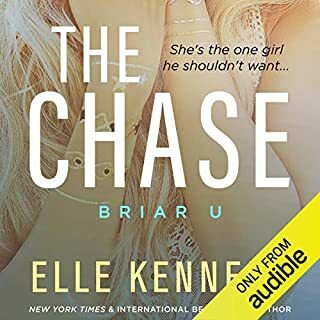 I loved that story and couldn’t wait to read the story of Evan and Ryley. But we didn’t hear from Ryley. We heard from Nate. I’m not going to lie. I hated Nate going into this story. But I quickly warmed to Nate. Nate wasn’t what I thought he was like. He was a great guy, but no Evan. I felt for both men in this story. They both loved Ryley and EJ. The mystery was so good. There was a “no way” out of me. At one point I yelled “Noooo!” at my Kindle. I am glad to see resolution for Evan, Ryley, Nate and the others. The ending leaves of for more Archer Brother Series, but wraps up Evan’s story. Not completely but an ending I feel comfortable with. The end had a paragraph about Tucker McCoy, one of Evan’s Seal Team Mates. Without giving away spoilers, I think it will be his story next with Evan in the background. I loved the way Heidi McLaughlin brought the characters together. The story was equal parts true love, twists, and turns.